The ICC World Cup 2019 is just a month and a half away and the excitement for the grand event is increasing day by day. India announced their 15 man World Cup on 15th of April and that means we are officially on the road to England. There are so many talking points from the team that is announced by the BCCI and clearly, they have preferred experience to youth. 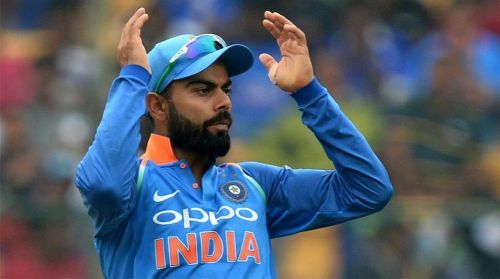 The biggest debate has been the selection of Dinesh Karthik over Rishabh Pant and also the selection of Vijay Shankar to play at number 4 has raised quite a few eyebrows. Rightly so, as Shankar has been selected over Ambati Rayudu, a man who was destined to play at number 4 for India just a couple of months ago. Also, Virat Kohli has preferred to go with only 3 front line fast bowlers and that means he expects the wickets in England to be dry. Khaleel Ahmad looked like that fourth front line seamer but he too had to miss out. Some players were also very unlucky to miss out and here are three such batsmen who would have felt hard done by after not being selected in the World Cup 2019 squad for India. The story of Ajinkya Rahane in ODI cricket hasn't been a good one and it might be said he hasn't been treated very well by the selectors. Over the years, Rahane has batted everywhere for India as he has opened and even been tested in the middle order. 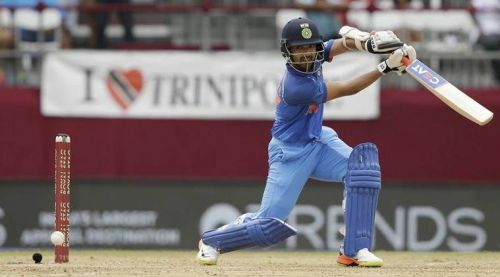 Opening the batting, Rahane has been brilliant but his luck is such that Rohit Sharma and Shikhar Dhawan do not seem to slip up at the top of the order for India. Also, when he got an opportunity to bat at number 4 in that South Africa tour, he looked good but somehow he wasn't given a chance again, which was baffling. Someone like Rahane can play in multiple positions and he would have really come handy in the World Cup squad but KL Rahul has been preferred to him. However, Rahul has had more chances than Rahane to seal his place in the XI but the former clearly hasn't done that. ICC World Cup 2019: Will Rishabh Pant make it into the squad?